Add some variety to your jewelry collection with Golden pearls from The Pearl Source! Our earrings, pendants, strands and bracelets look great year-round, making them perfect statement pieces. Golden pearls are the rarest and largest gems in the world. 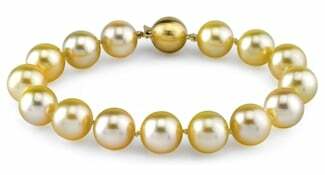 Naturally colored Golden South Sea pearls come from the tropical lagoons of Indonesia, Australia and the Philippines. Their hues range from a soft Champagne to a very intense 24K gold color. These quality gems are quickly becoming popular in the pearl jewelry market thanks to their warm, regal tones. The gemstones are quite a treasure due to their rarity, they are produced by the “gold-lip” South Sea oyster. Cultured pearl farmers carefully implant the oyster with a tiny piece of golden mantle tissue along with a mother-of-pearl bead. This pearl culturing process initiates the gem’s formation. Cultivating golden pearls requires meticulously selecting golden mantle tissue, which allows the oysters to produce vividly colored Golden South Sea pearls. Golden pearls come in a variety of hues. You’ll find these quality cultured gems in silver, champagne, bronze and of course, 24K gold. Pearl sizes are commonly up to 12mm but are often cultured to be as large as 14mm in diameter. Some white pearls are dyed to take on the golden pearl colors. Dying a real cultured pearl does not take away from the value of the gemstone. 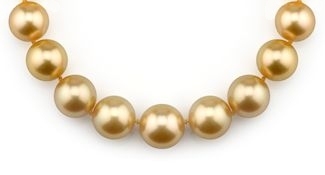 As long as the coloring technique is performed by a qualified pearl jeweler, your dyed golden colored pearls will still hold the same value as they did before the processing. 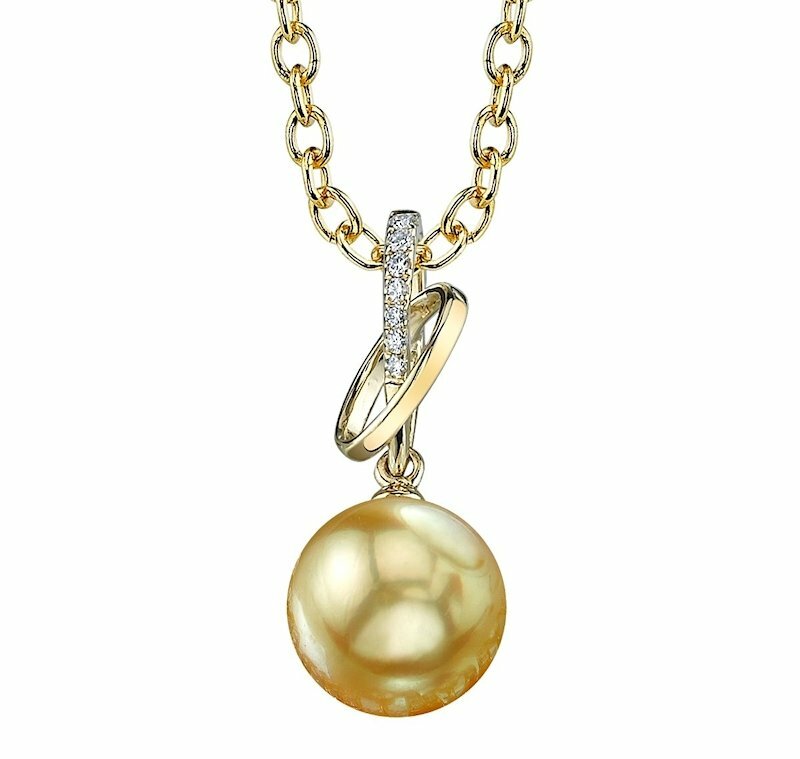 The scarcity and large sizes of Golden South Sea pearls make them some of the most sought-after, natural gems in the world. These prestigious ornaments can dress up any outfit, with rich golden colors, you’ll look nothing short of stylish and amazing. 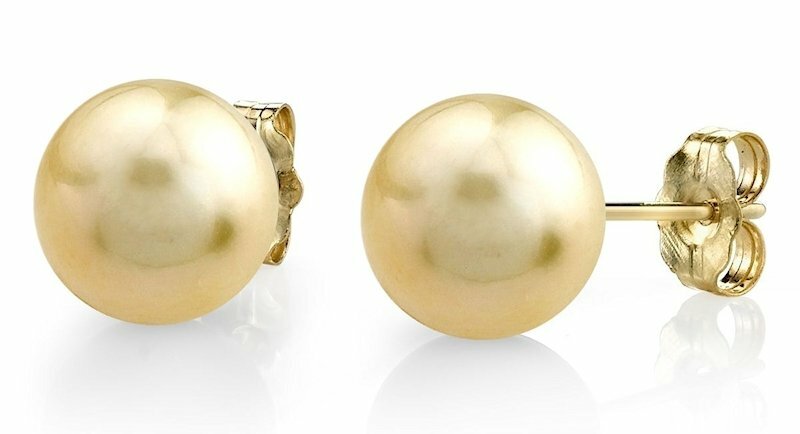 Shop for Golden South Sea pearl earrings, necklaces, rings, and bracelets here at The Pearl Source. 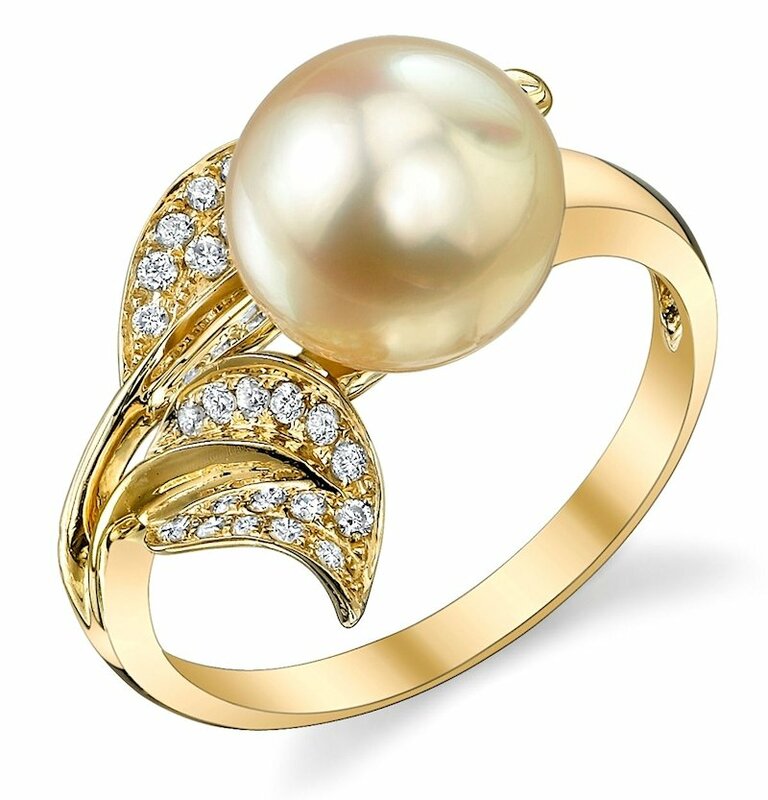 Purchase high-quality, golden cultured pearl jewelry from an online pearl jewelry store you can trust, our customer reviews speak for themselves.